Are you interested in marketing? 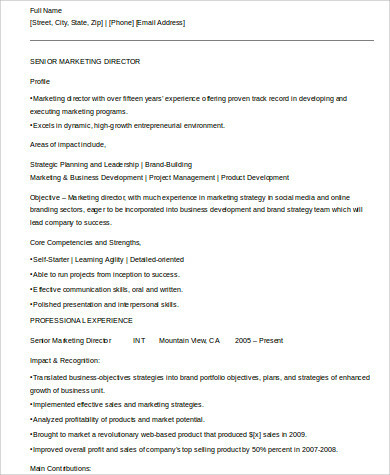 Do you think you have garnered enough skills and experience to become a marketing director? Being a marketing director is not an easy task. Corporations and businesses rely on the marketing director to ensure that they gain more profits by increasing the customer base. A marketing director is in charge not only of marketing the products and services of a company but also of coordinating with other departments in order to ensure that the marketing strategies created are being implemented. 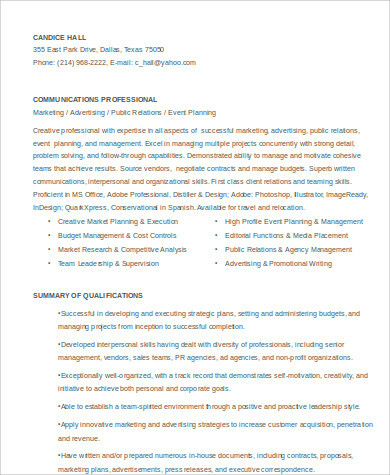 If so, then feel free to refer to our marketing director Sample Resumes when making your resume. Scroll down below and start downloading! 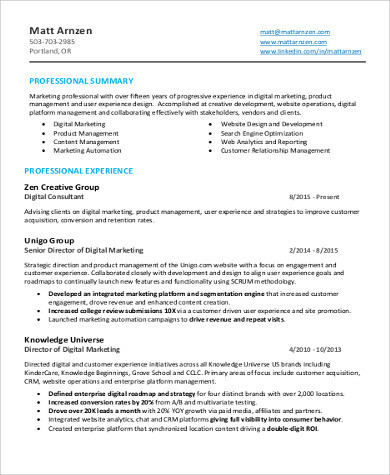 Can You Be a Marketing Director? creates a record of the progress of marketing strategies. There are still plenty of tasks that a marketing director is asked to perform, but for brevity’s sake, the abovementioned are the ones that are the most basic and common ones. 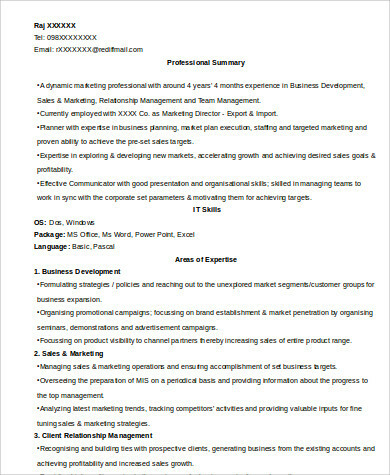 If you have read the job functions of a marketing director and still think that you are indeed fitting for the job, then it is time for you to start making your resume and cover letter. 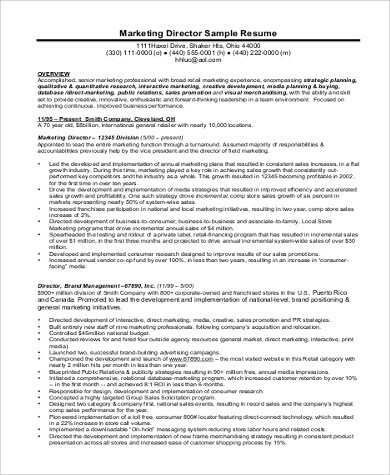 For your reference, download the templates on this page or refer to our collection of Sample Marketing Resumes and Sample Technical Resumes. Simply click on the link provided. The Name of the Applicant: this is usually at the topmost part of the resume. The name, contact details, and address of the applicant is the first thing that a recruiter or hiring manager could see on the resume. 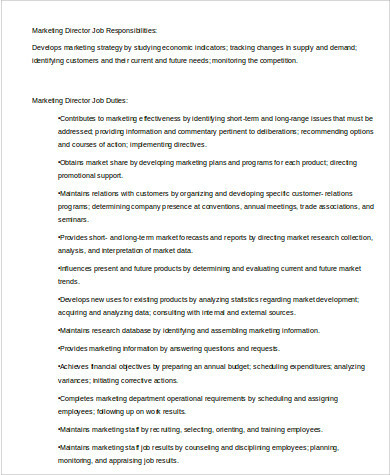 The Career Objective Section: immediately under the name and contact information of the applicant is this section. 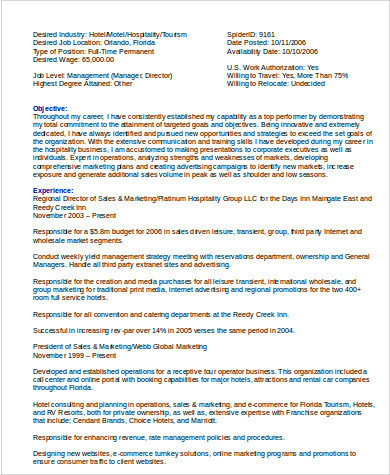 It contains a brief description of the applicant’s career goals as well as his/her salient attributes. The Skills and Qualifications Section: clearly, this is the most important part of the resume because it contains the necessary list of qualifications from which the recruiter will assess the job applicant’s eligibility for the job. The Employment History Section: if the applicant has a stellar work experience, then it is best to highlight this; however, if the applicant’s work history is scarce or filled with questionable vacant spots in the timeline, then this section should be downplayed. The Reference Section: This part contains the name of the persons who can give light on the job applicant’s character. The contact number of the references are also stated here. 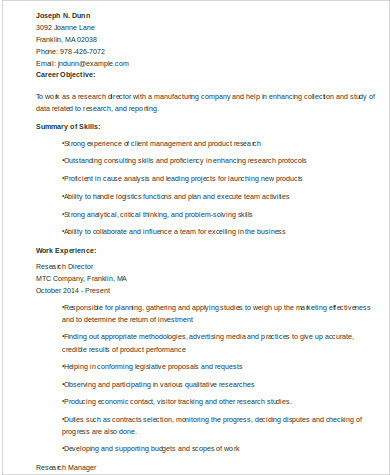 Fore more resume references, refer to our Sample Consulting Resumes by clicking on the link provided.